Ho ho ho, Merry Happy! We’ve got a late addition to the Otherworld catalog to enhance your holiday cheer. What better way to cozy up on Christmas than with a new book? And what better way to start off your New Year than with a series? A man of many talents, author A. J. Callen is releasing two more books over the next three months. 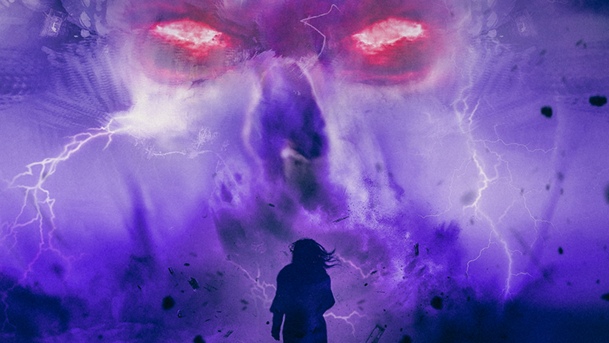 Simon Blackfyre and the Storms of Destiny is a carefully balanced mix of beautiful descriptions and prose, smart and stylish dialog uttered by witty characters, and hefty doses of adventure and intrigue. This is a great introduction to what is sure to be a spectacular trilogy. Simon is a interesting character with as much promise as he has flaws, and it’s great to go along with him on his journey. What if a young slave possessed an ancient power to help save the entire world from demonic tyranny and destruction? Simon Blackfyre has no recollection of where he was born or who he really is. He’s never heard of the Rites of Succession and he couldn’t care less until the powerful Lord Lionsbury arrives unannounced at the Pumberton’s farm in Grimsby. Strange and dangerous things are happening in the once peaceful kingdom of Miradora and on the faraway island of Kardi but Simon’s greatest threat comes from his tormenting slave owners, the Pumbertons, and their menacing son, Baxley. His lordship’s trusted and loyal friend, Mr. Byrch, tells Simon the incredible news that will change his life forever: Simon has been chosen by the Holy Seer at Farrhaven to be trained as a protector and help choose the next King from one of the four competing noble families. If he accepts his duty and doesn’t try to run away then he will be a freeman before the first winter snow. Simon’s dark and perilous adventure begins; a journey filled with supernatural deception, magical intrigue, fierce loyalty, and finding courage as ruthless opposing forces gather in preparation for a war that will decide the final destiny of the world. If you enjoy compelling characters, fast-paced adventure, and absorbing fantasy quests then discover Simon Blackfyre and the Storms of Destiny today, A. J. Callen’s first novel in the epic Simon Blackfyre sword and sorcery fantasy series. 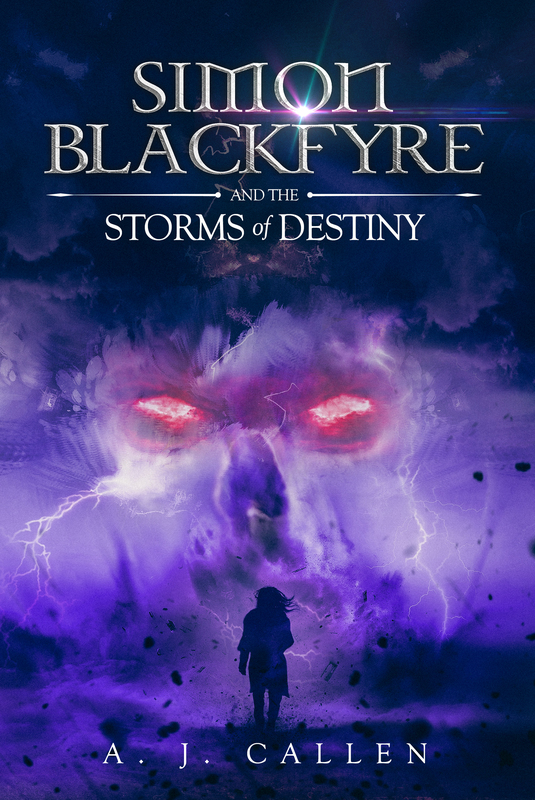 Storms of Destiny definitely sets the stage for later Simon Blackfyre books. This is the kind of book that you dive into and eagerly await a follow-up for. Fear not, for Callen’s follow-up book, Simon Blackfyre and the Corridor of Shadows, is right around the corner, just over a month away. But if you’re looking to start this new series the right way, it’s best to jump in at the beginning. Check out Simon Blackfyre and the Storms of Destiny on Amazon today!